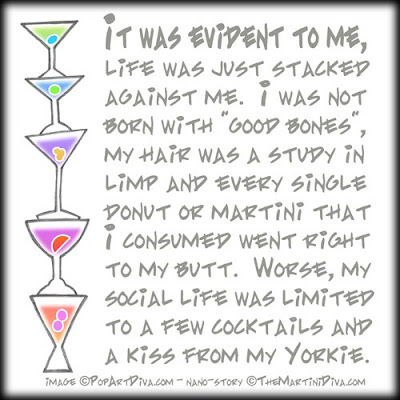 Number Two in my new line of really, really short stories of martini fiction! Take a short break from your everyday life and ponder the wonders of the "cocktale" world. A novel ideal for happy hour from The Martini Diva. All Rights Reserved. No permission is given to post, copy, distribute, save, print or reproduce in any manner without prior written permission.